The Chargers may have left, but the “Super Bowl of horse racing” is coming to Del Mar in November and will be worth $100 million to the San Diego economy. 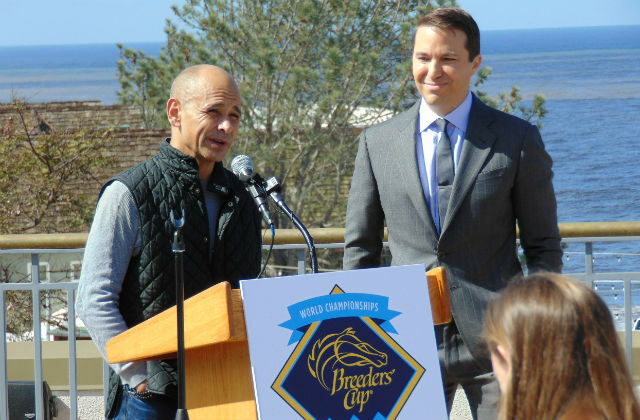 The mayors of Del Mar and San Diego joined horse racing executives Tuesday to announce the start of ticket sales and detail millions of dollars in upgrades to the iconic racetrack to accommodate the 34th running of the Breeders’ Cup. Tickets go on sale at 9 a.m. Pacific time on Monday, March 6, and are expected to sell out quickly with attendance capped at 37,500 people on each of the two days of the event. Single-day tickets range in price from $35 to $375 on Nov. 3 and $50 to $500 on Nov. 4. Del Mar City Councilman Dave Druker with the first painted horse. A total of $4.5 million has been spent to upgrade the track and add 2,700 premium seating options, including a $1.5 million chalet village at the west end of the stretch run. “This is not your grandmother’s Del Mar,” said Fravel. San Diego Mayor Kevin Faulconer estimated the two-day event will be worth $100 million to the local economy and be a significant public relations coup for both San Diego and Del Mar. “Millions of people will be watching the event on television across the globe,” he said. The races will also be an opportunity for public art. 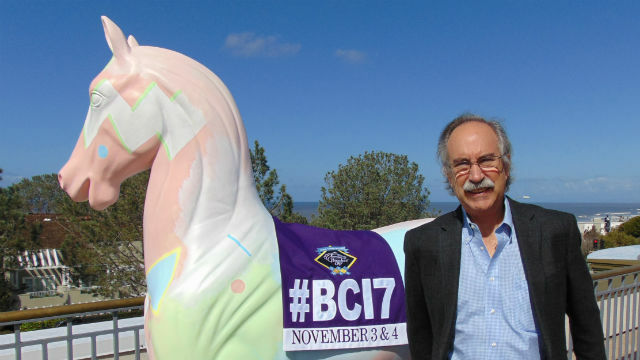 Del Mar Mayor Terry Sinnott said 20 full-size horse models would be painted by San Diego-area artists and displayed in communities around the racetrack. Hall of Fame Jockey Mike Smith, who has won 25 Breeders’ Cup races, said he believed the Del Mar championship would be “probably the best one ever” and talked about the prospects for Arrogate, a top horse he is currently racing. “I’m just very happy I’m the guy to keep the weight on his back,” said Smith.